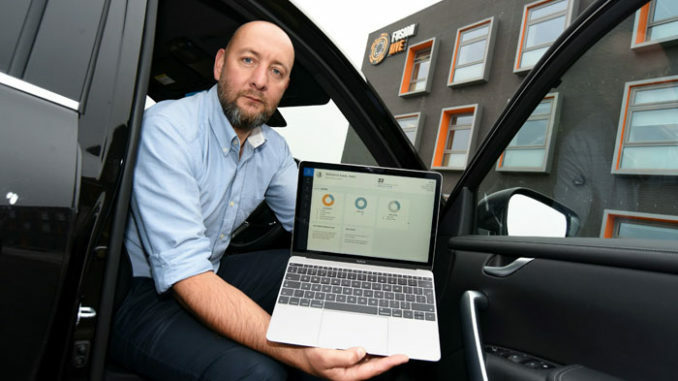 A technology-driven company based in Stockton’s Fusion Hive building is poised to launch a new digital product that will revolutionise the fleet management market for SMEs. The team behind the successful National Safety Passport business is building a tool – ready for launch later this year – which will help companies manage their “grey fleets”. It is the latest technology company to grow from Fusion Hive – the Northshore-based innovation hub managed by Teesside University – where tenants can access university skills, knowledge and contacts. Marc Atkinson is the managing director of DRIVER, a low-cost platform for businesses to manage their grey fleet duty of care. The software also creates compliance to-do lists for staff, which might include driver training, reading and accepting driving for work policies and procedures to check owner drivers’ vehicles are legal and safe to use for work. Marc has already secured a number of beta partners for the product, with an open launch set for summer. But the application has international potential, and Marc is eyeing up opportunities overseas. His team of five staff – including software developers – has built the technology for DRIVER from scratch, out of offices in Fusion Hive. Laura Woods, director of academic enterprise at Teesside University, said: “We’re thrilled to see Marc and his team are poised to take another innovate product to market. Marc leads the office following a management buyout by part of the original development team in 2016. The same team has already successfully launched several software-as-a-service (SaaS) products including National Safety Passport, a digital health and safety certification system that counts a major automotive manufacturer among its customer base, with additional sales as far afield as Japan and America. Marc added: “We’re excited to take another product entirely built and serviced in Stockton to the global marketplace.